A complete set of linearized equations of fluid dynamics is considered, which is a starting point of geometrical acoustics in inhomogeneous moving media. The linearized equations of fluid dynamics are solved by using the Debye series. As a result the eikonal equation, dispersion equation, transport equation, and the law of acoustic energy conservation are obtained. 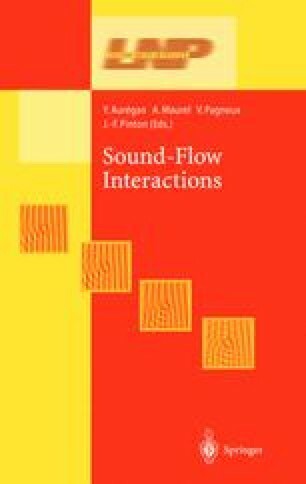 The sound propagation in threedimensional and stratified moving media are studied.